Ronald Fields returns his fourth quarter interception which helped lead the Lions to the 45-37 victory over 25th-ranked Delta State. 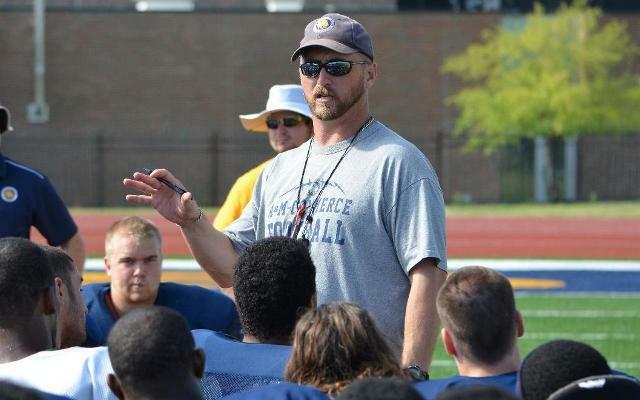 When A&M-Commerce head coach Colby Carthel was hired back in January, he alluded to the idea that the Lions were a sleeping giant just waiting to be awoken. Friday night at AT&T Stadium, at the very least, the Lion began to stir. Led by a solid team effort which included a pair of defensive touchdowns, a special teams blow and timely plays, A&M-Commerce stunned 25th-ranked Delta State 45-37 at the Lone Star Football Festival. A&M-Commerce improves to 2-0 on the season, notching its first win over a ranked team since a 30-24 decision over 16th-ranked A&M-Kingsville in 2001. "We had our ups and we had our downs, but I'm incredibly proud of this group of guys," said Carthel. "We've talked since the spring about our chance to make history and leave a mark on this program, and they took a big step towards that tonight. It was a complete team win – every aspect had an impact on the victory, and that's something we are proud of." Offensively the Lions were once again led by Tyrik Rollison's 28-of-42 passing for 320 yards and two touchdowns, both of which went to Vernon Johnson, who made his A&M-Commerce debut by hauling in nine passes for 129 yards. Seth Smith added six catches for 27 yards while Taylor Peasha (60 yards) and Stacy Howard (58 yards) each added three receptions. Defensively, the Lions once again showed their ability to stifle a defense, finishing with 15 tackles for loss and eight sacks, despite giving up 451 yards of total offense. Matt Claggett led the way with a career-best 15 tackles, including five solo, while Tevin Moore continued his dominating senior season, registering nine tackles, three sacks and 5.5 tackles for loss with a forced fumble. Cornerback Ronald Fields also made the Statesmen offensive unit pay, finishing with nine tackles, an interception that led to a Lion touchdown and an 83-yard punt return for a score. Kristoddie Woods notched eight tackles of his own to complement a fumble recovery for a touchdown to kick start the second half for A&M-Commerce. 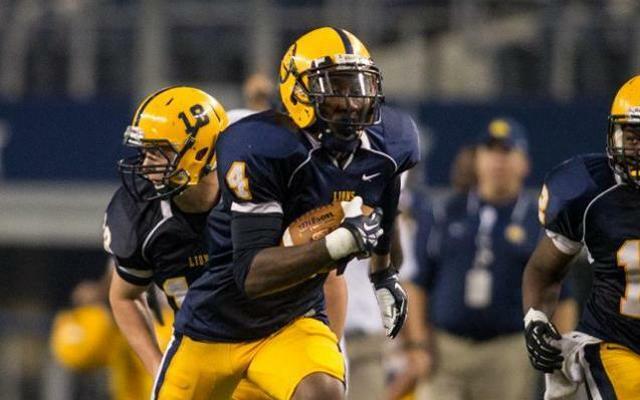 After a pair of less-than-ideal performances at the Lone Star Football Festival, A&M-Commerce had a renewed energy heading into AT&T Stadium, despite the fact they were facing the nation's 25th-ranked team that had knocked off a Division I FCS opponent last Saturday. The opening minutes of the game seemed like another case of déjà vu as Delta State connected on a 40-yard touchdown pass to take a 7-0 lead just seven minutes into the game. But the Lion offensive unit came alive, stringing together an eight-play, 76-yard drive that finished with Rollison hitting Johnson from four yards out to tie the game at 7-7. The defense then stepped up with an interception by Cameron Napoleon , which the Lions took full advantage of as two plays later, Rollison found Johnson streaking down the far sideline for a 41-yard strike, putting A&M-Commerce on top 14-7. In what would prove to be a theme for the evening, Delta State would take the ensuing drive and push deep into A&M-Commerce territory, but the Lion defense forced the Statesmen to settle for a field goal at the end of the quarter as the Lions led 14-10. After exchanging drives, Delta State punted the ball away to the Lions, which was fielded by Fields at the 17-yard line. Fields ran to his left and ran into a handful of Delta State defenders, making it look like the return was over. But he eluded the tackles and cut back to his right, finding a wall of Lion blockers all the way down the sideline as he scampered 83 yards to give A&M-Commerce the 21-10 lead midway through the second quarter. Delta State would drive deep into Lion territory two more times in the first half, but some key stops by the defensive unit kept the Statesmen out of the endzone. They would settle for a pair of field goals as the Lions took a 21-16 lead into halftime. The Statesmen had the ball to begin the third quarter, looking to possibly take the lead and establish momentum. But a sack from Moore resulted in a fumble, which was recovered by Woods who rushed nine yards into the endzone to swing momentum back in the Lions' favor at 28-16. However, the Lion offense seemed to sputter for the remainder of the third quarter as the A&M-Commerce defensive unit spend the majority of the quarter on the field, watching as Delta State used quick, short passes and rushes to seemingly wear down the Lions. The Statesmen would notch a pair of third quarter touchdowns, taking the lead at 30-28 heading into the fourth. With 15 minutes between the Lions and a shocking victory, A&M-Commerce wasted little time in pulling a play out of its bag of tricks. On the first play of the fourth quarter, Rollison pitched the ball to Deric Davis, who lined had lined up at receiver and rolled to his left. The left-handed quarterback then fired a pass to a wide open Stacy Howard, who took it the remainder of the 45 yards into the endzone, putting the Lions back on top 35-30. After holding Delta State on a pair of drives, the Statesmen once again had the ball and were looking to reclaim the lead. But Fields intercepted an attempt at the 41-yard line and began racing down the Lion sideline looking to extend the lead. Being pulled down at the seven, Fields fumbled the ball, which bounced straight into the hands of Leo Migo, who took it the remaining seven yards to give A&M-Commerce the commanding 42-30 lead. The Lions then caught another break as after stifling the Statesmen deep in their own territory, a muffed punt gave A&M-Commerce the ball back at the Delta State 13-yard line. The Lions would get down to the two before a 20-yard field goal by Saul Martinez proved to be critical, giving A&M-Commerce the 45-30 advantage with just over three minutes to play. The Statesmen put together one final attempt, driving the length of the field to draw to within eight at 45-37 with 1:06 to play. But the ensuing onside kick was recovered by the Lions, who took the victory formation and celebrated arguably its biggest win in the past decade. With the victory, A&M-Commerce starts the year 2-0 for the first time since 2001, which was also the same year it defeated a ranked opponent. The Lions will have a few more chances to add to that total against ranked opponents, facing West Texas A&M and Midwestern State over the next two weeks. The trip to Canyon next Saturday has some obvious additional game stories, but Carthel insists his Lions will treat it just like another game. "We don't watch any more film, we don't practice any longer, we don't do anything different for any opponent," Carthel said. "Every opponent is a big opponent and we prepare the same for each of them. But tonight isn't about that game. Tonight is about this big win for our program and our players. We'll celebrate this victory for 24 hours, then it's back to business as usual." KETR's Mark Haslett reports from AT&T Stadium in Arlington following A&M-Commerce's 45-37 victory over no. 25 Delta State. The Lions didn’t just win. They sent the Lobos yelping back to West Texas like scalded pups. 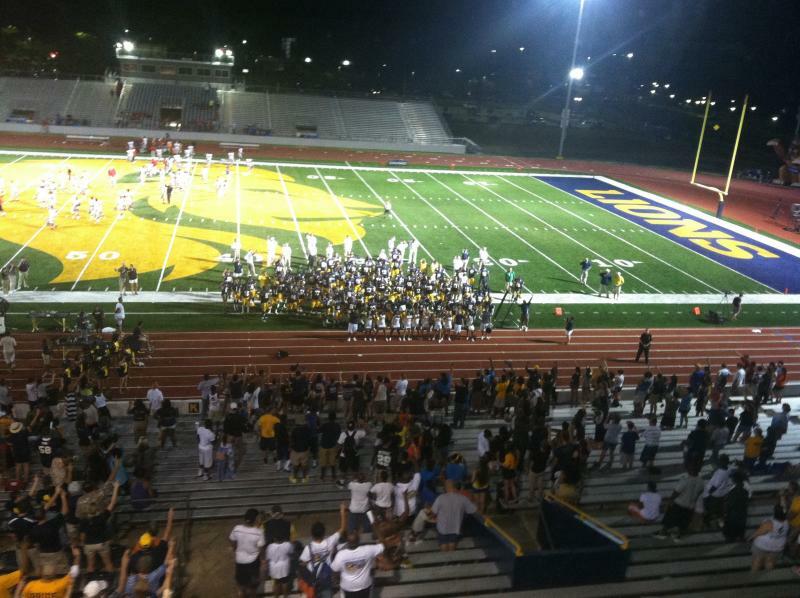 College football is back in Northeast Texas – and the A&M-Commerce Lions will be kicking off the 2013 season Saturday at 6 p.m. with a home game against Sul Ross State University. Texas A&M-Commerce head football coach Colby Carthel has stated his intention to start former Sulphur Springs High School standout Tyrik Rollison at quarterback against Sul Ross State on Sept. 7.